Now on to the best part of any vacation, the FOOD! 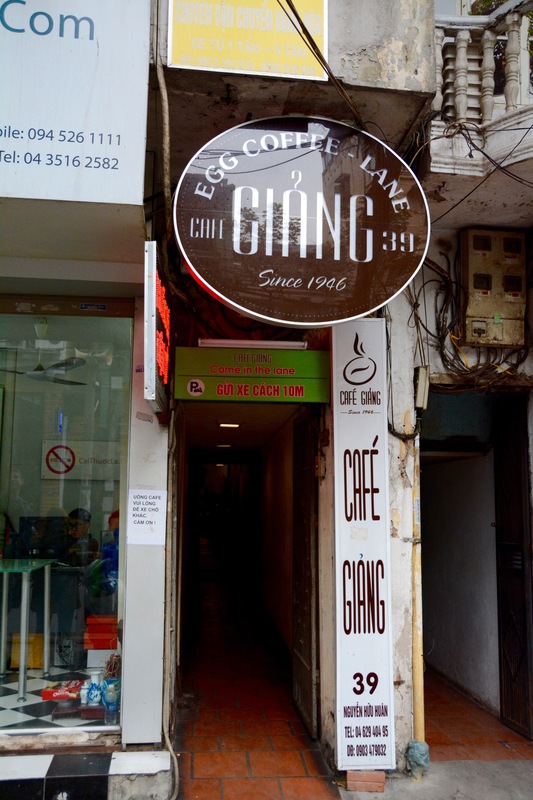 I think that in Hanoi, the places you’ll want to eat at are the ones that literally look like a hole in the wall, not the bigger sit down restaurants like we’re used to in the US. 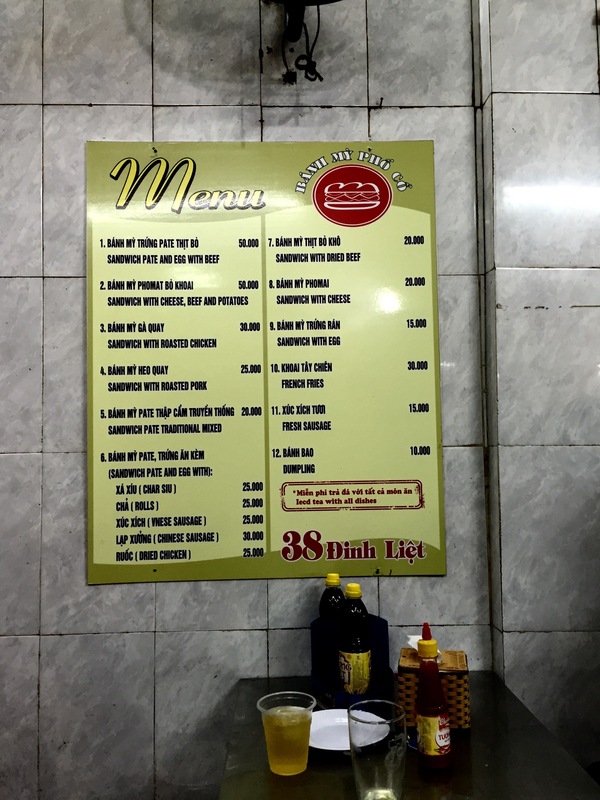 These hole in the walls serve some of the most delicious and authentic foods and this is where you will find the locals. I know egg coffee doesn’t sound good at all, and let me tell you that I was originally quite skeptical. But, after trying it you must give it a shot! 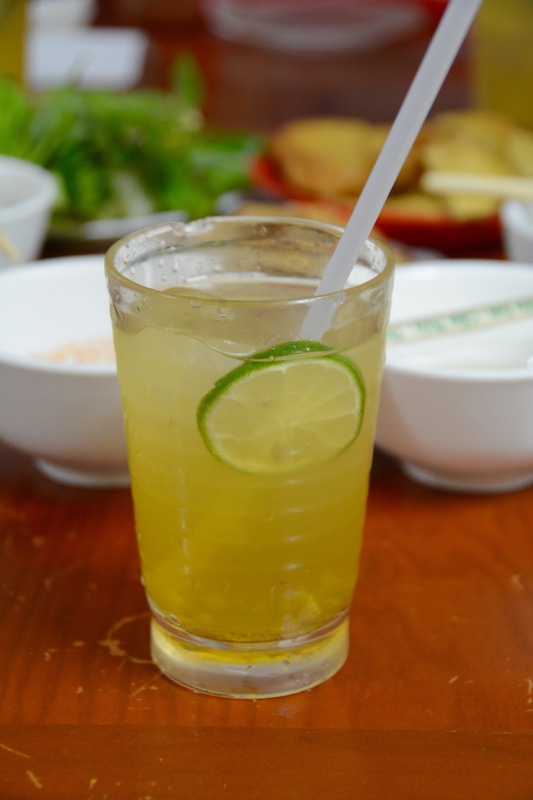 So this is a new creation and you can only get this delicious beverage in Hanoi. 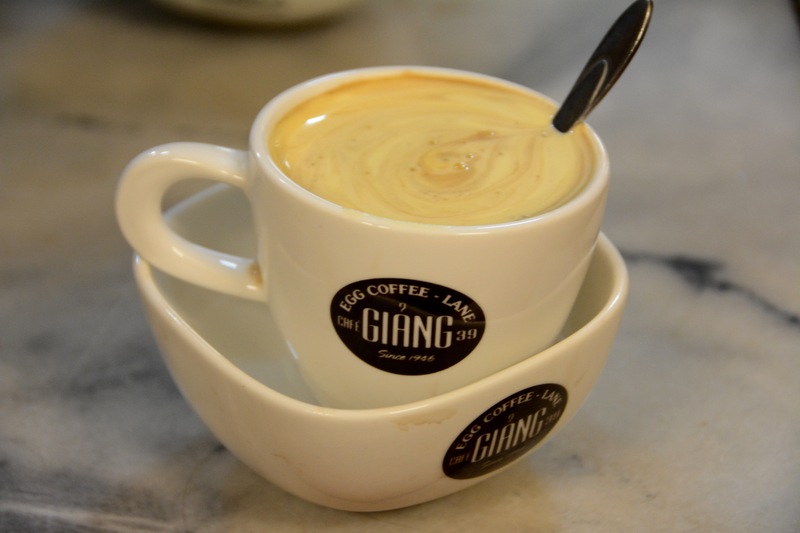 It basically consists of delicious Vietnamese coffee topped with a thick creamy merengue. You slowly incorporate the merengue to adjust the creaminess of the coffee. It’s really really good, so this is a must have. 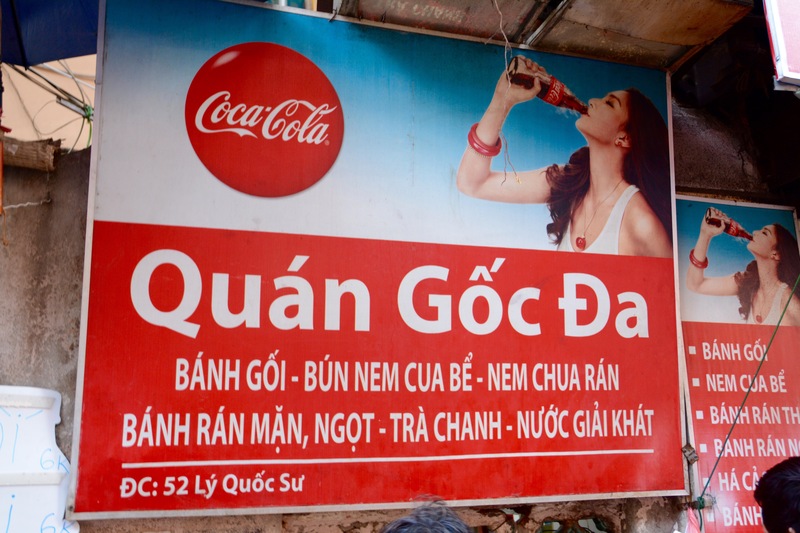 I’m not sure how Vietnamese this really is, but let me tell you that it is rich, decadent and delicious. 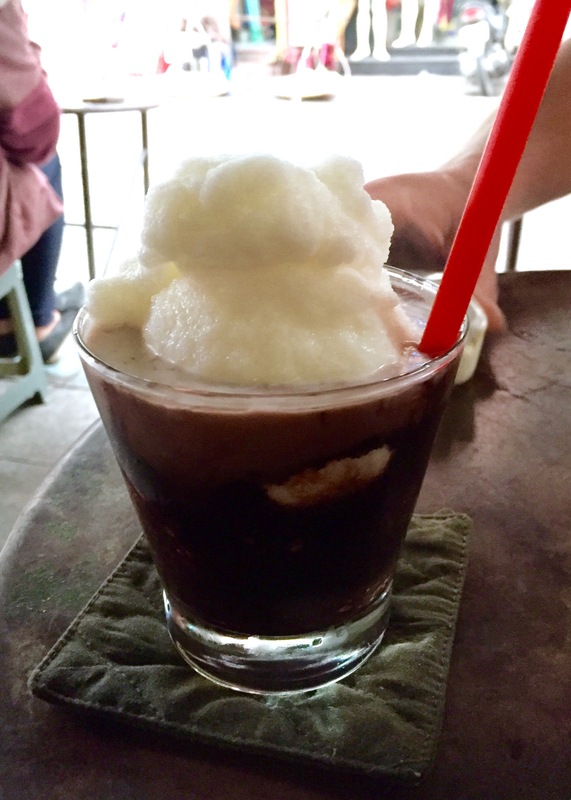 The chocolate milk is not your normal chocolate milk, it’s thicker and tastier and then inside is a scoop of coconut sorbet. It’s really a great combination. It was hard for me to finish the whole thing though because it was so rich. 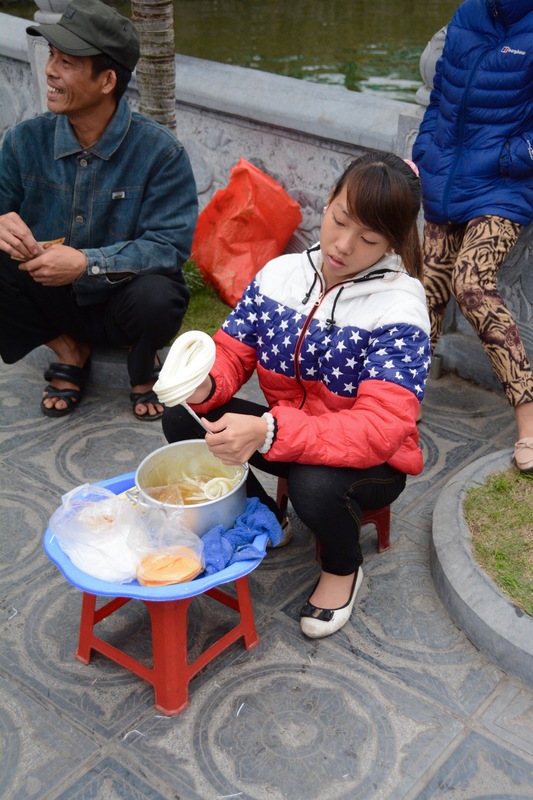 When we were at the Pagoda for Buddha (Trấn Quốc Pagoda) we saw this woman making taffy and what looked like a big lollipop. Of course I was intrigued. 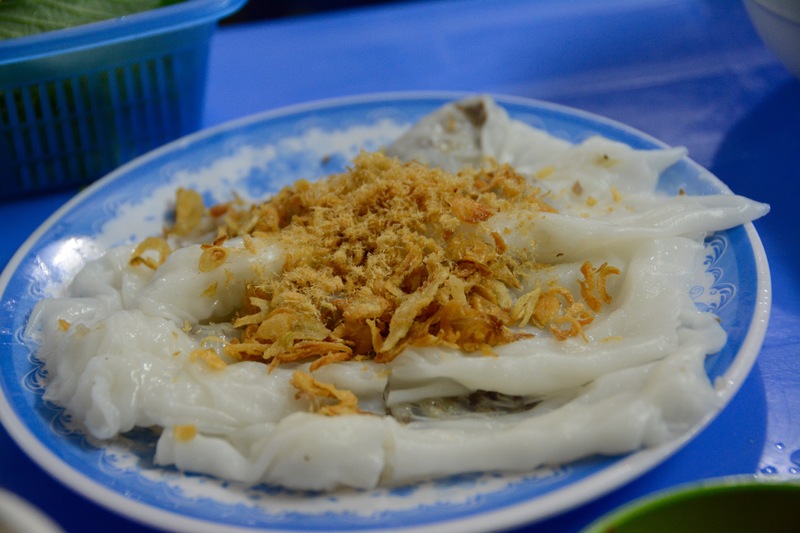 Keo consists of sugar taffy with crushed peanuts and shredded coconut sandwiched between 2 round sheets of rice paper. It was pretty sweet because of the taffy, but didn’t have a lot of other flavors, I would save my stomach for other eats. 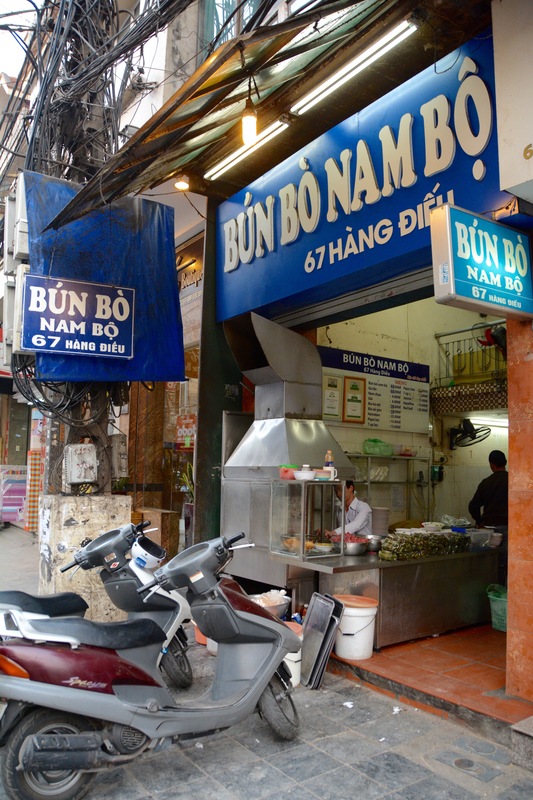 The Bánh xèo (also known as a Vietnamese Pancake) was my favorite dish that we had in Hanoi. 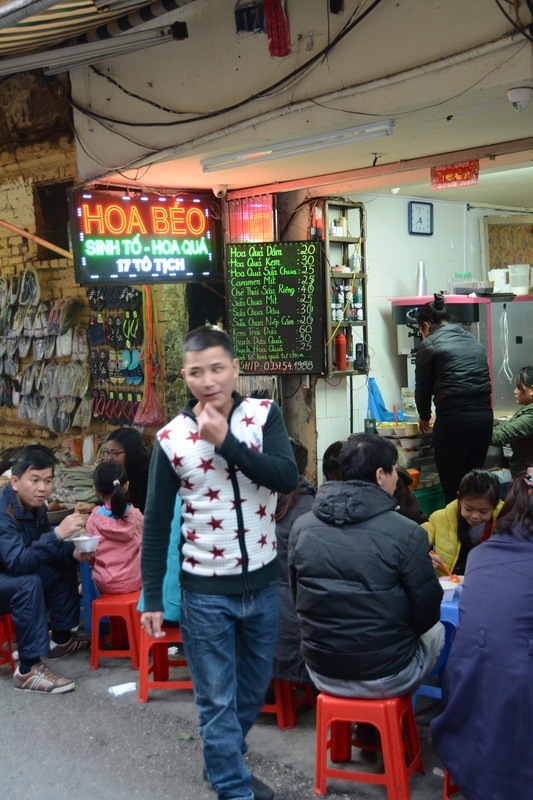 The place we went to is one of the most popular with the locals, and the food is fast and tasty. 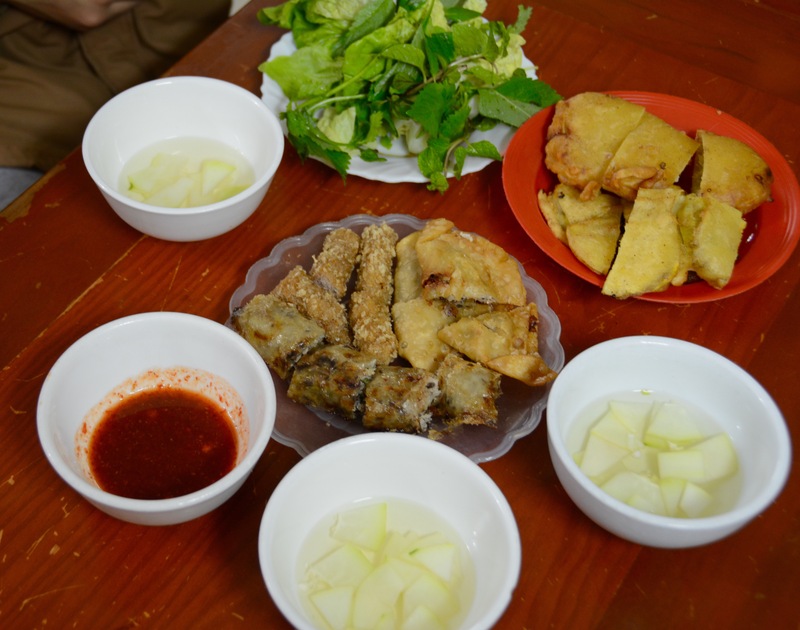 The pancake is made of rice flour and is super crispy, the inside is filled with bean sprouts, green onions and slices of beef. We weren’t sure what to do with everything they gave us, so here’s a little video on how to gobble up the deliciousness! This is the equivalent of Vietnamese Chicken Noodle Soup. 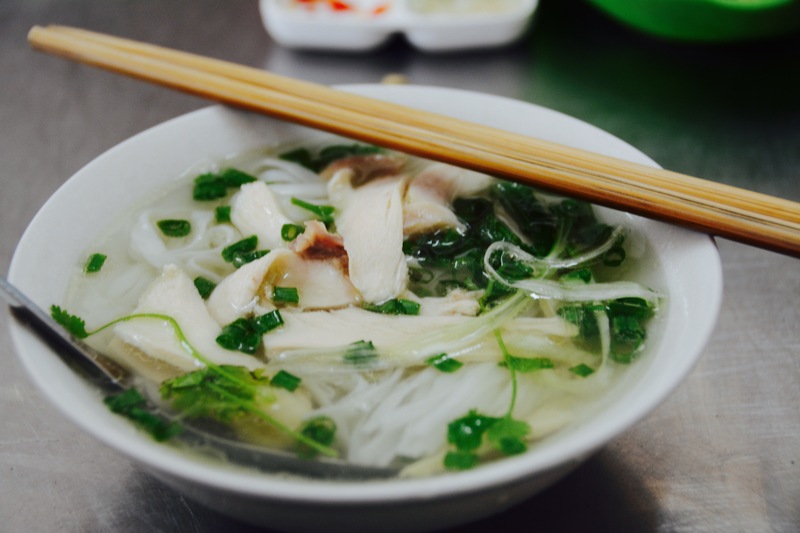 If you’ve had Pho Bo (Vietnamese Beef Noodle Soup), you will appreciate the subtle but rich flavors of the Pho Ga. The broth is really excellent and good for breakfast, lunch, or dinner. Make sure you add some lime, garlic sauce and pepper to add extra layers of flavor. This dish reminds me a lot of the Steamed Rice Noodles Rolls served in Chinese Dim Sum. 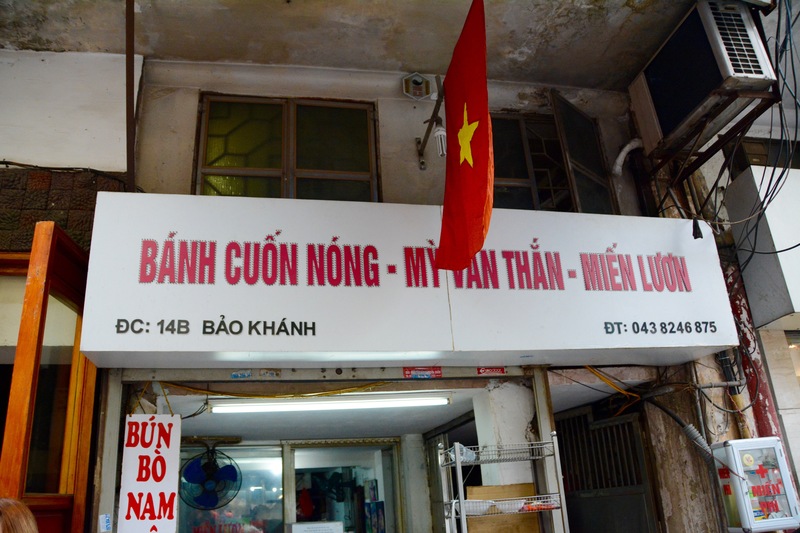 The noodle in the Vietnamese version is definitely much thinner than the Chinese version and tasty in its own way. We tried the meat and the mushroom version, both were good. Don’t forget to use the dipping sauce and get some herbs in each bite! The Vietnamese have some really delicious fried dumplings and spring rolls. Each one is a flavorful bite. Last but not least, we washed down all the fried deliciousness with an ice cold Lemon Tea! This was Scott’s favorite dish hands down, he made us go back again the next day! 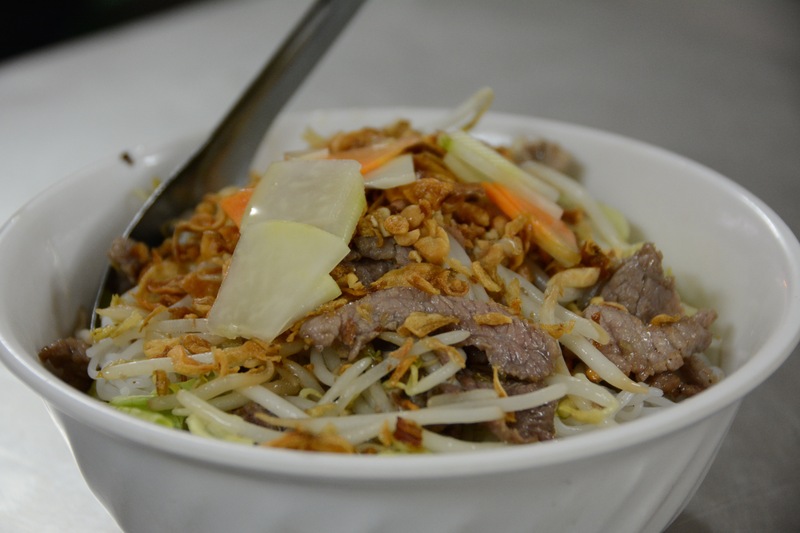 This version of Bún bò Nam Bộ consists of rice vermicelli, lettuce, bean sprouts, carrots, green papaya, beef, fried onions, and a magic version of fish sauce. The flavors are savory, sweet, and tangy which equals a party in your mouth. 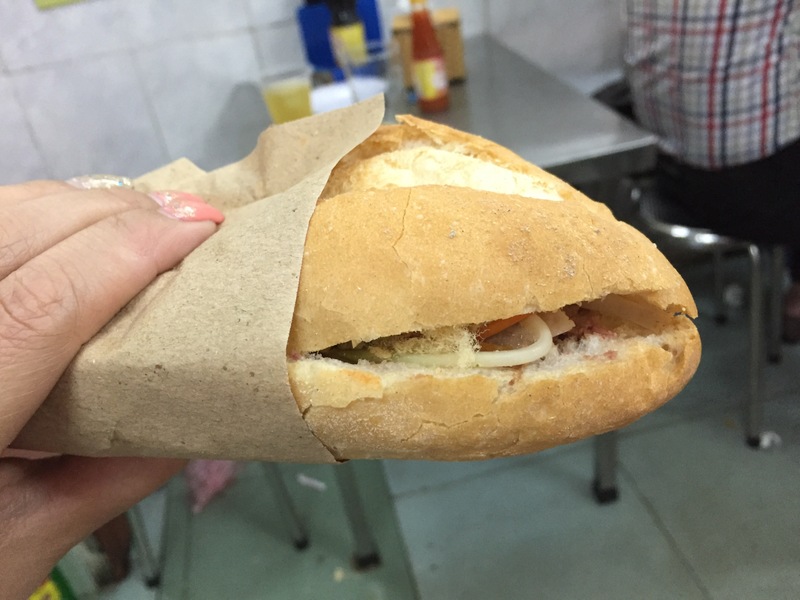 The hallmark of a delicious Bánh mì is a really fresh baguette that is soft on the inside but crunchy on the outside. Inside they can be filled with a variety of fillings from pate to grilled pork and yummy pickled daikon and carrots. This is a great grab and go snack or meal. 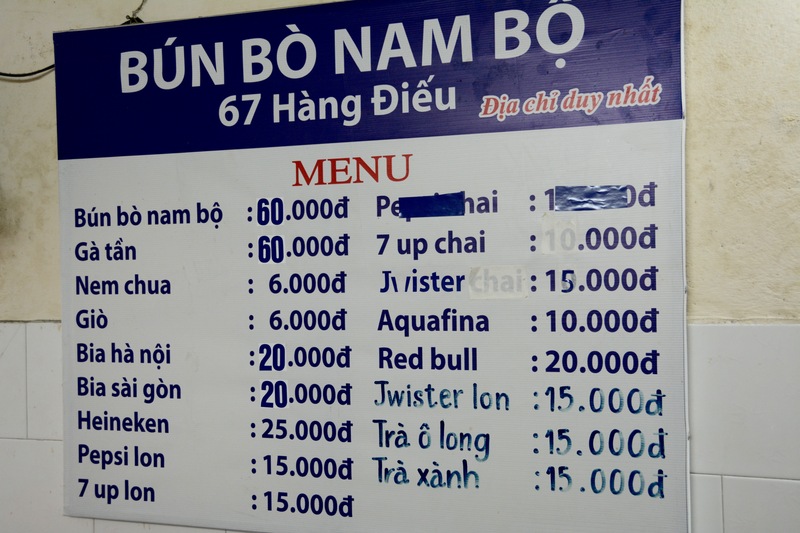 So to finish off any street food meal, you need to stop at this place for some Hoa Quả Dầm aka mixed fruits. Now I know that fruit doesn’t sound very exciting, but let me tell you this version is amaaaaazing! 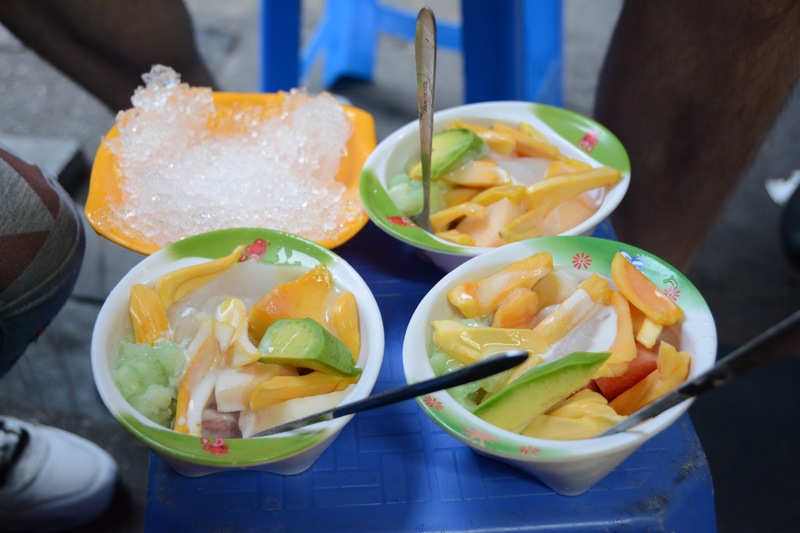 So basically it consists of a variety of in season fruits, this day we had jack fruit, strawberries, mango, avocado, coconut, pear, cantoloupe, and fruit jelly. All of this is covered in coconut milk and condensed milk. When you get your bowl, you will also get a bowl of crushed ice, you want to add the ice to your mixed fruits to cool everything down. 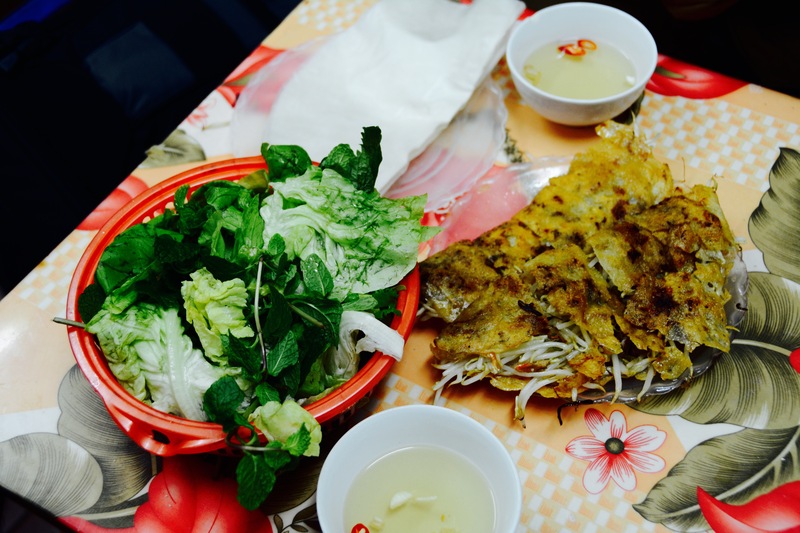 I loved the food so much that we tried in Hanoi that I recreated some of the yummy foods we had when we got home to Seoul. I already miss all the delicious eats that we enjoyed! 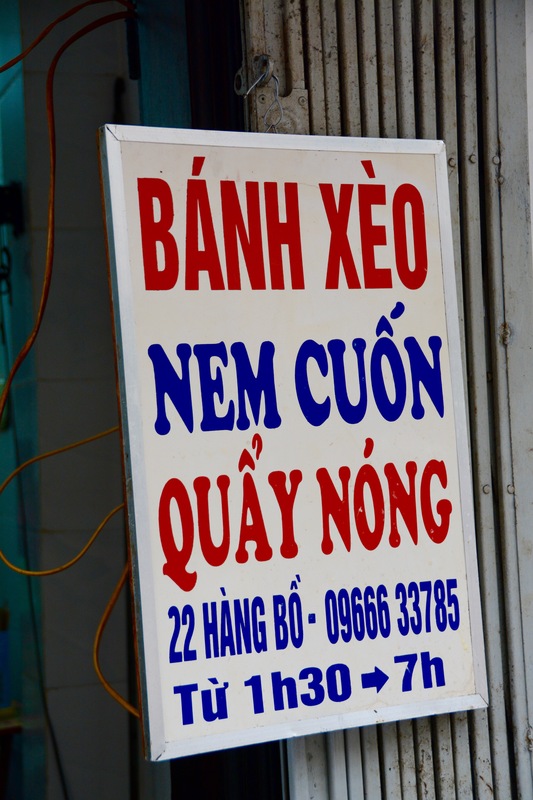 Did I miss your favorite Vietnamese dish? If I did, please share and I’ll make sure to try it next time we go!